Resembling the silhouettes of a dense forest, this wallpaper looks almost as if it is glittering under the luminescence of the full moon. 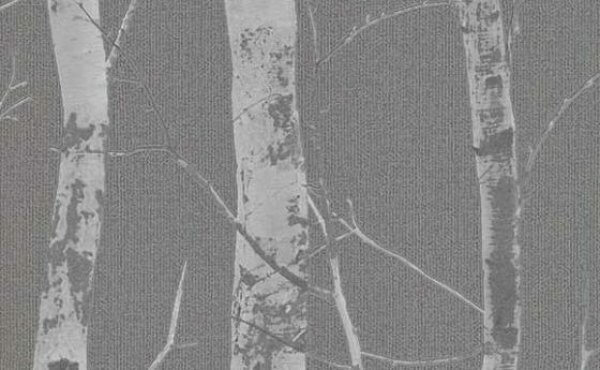 With added glitter sprinkles on the trunks of the trees, as well as a textured grey background, this wallpaper will certainly add a little bit of the beauty of the forest into your home. Resembling the silhouettes of a dense forest, this wallpaper looks almost as if it is glittering under the luminescence of the full moon. 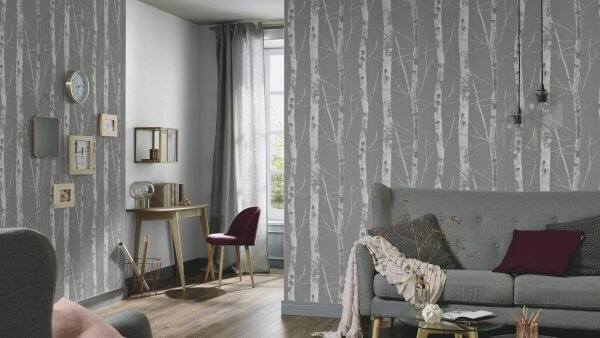 With added glitter sprinkles on the trunks of the trees, as well as a textured grey background, this wallpaper will certainly add a little bit of the beauty of the forest into your home. 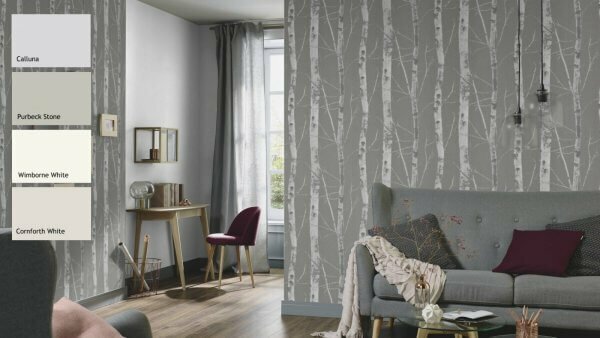 Perfectly aligned with each other to create these long silhouettes, this wallpaper is also extra washable, which means that the beautifully designed trees can always look as fresh and new as the day you bought them.